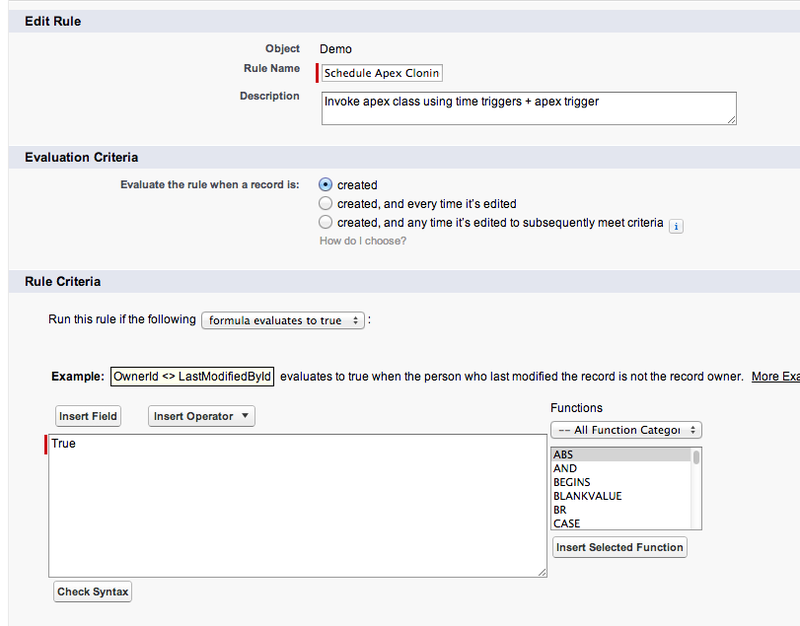 Few days back I came across a requirement which where user needed a scheduled job, that invokes after x days of record creation and creates a clone record. 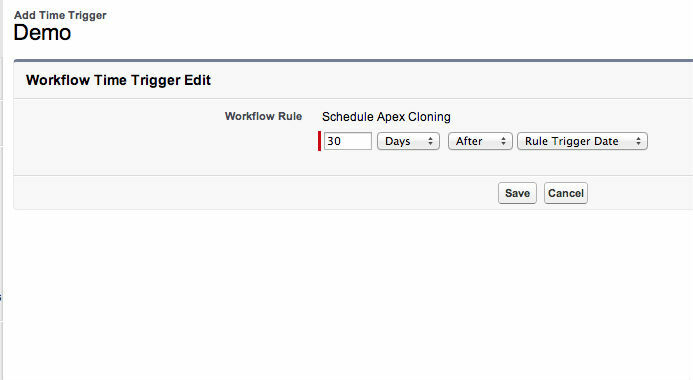 WorkFlow Time Trigger + Apex Trigger = Invoke Apex @ Future Date. Wasn't the equation clear enough? Well let me explain the same in steps. Specify a entry criteria that fits your requirement. In my case it needs to go inside the workflow as soon as it is created. 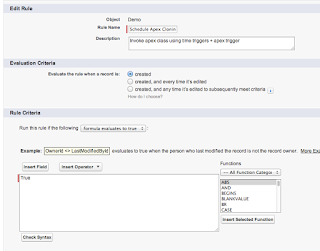 So I just used formula editor and entered formula as "TRUE" as Rule Criteria and Evaluation Criteria as "Created". 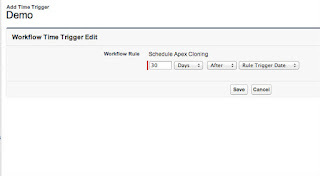 Add time trigger to the apex and provide appropriate time duration. In my case I chose 30 days from "Rule Trigger Date"(Which will be same as created date). 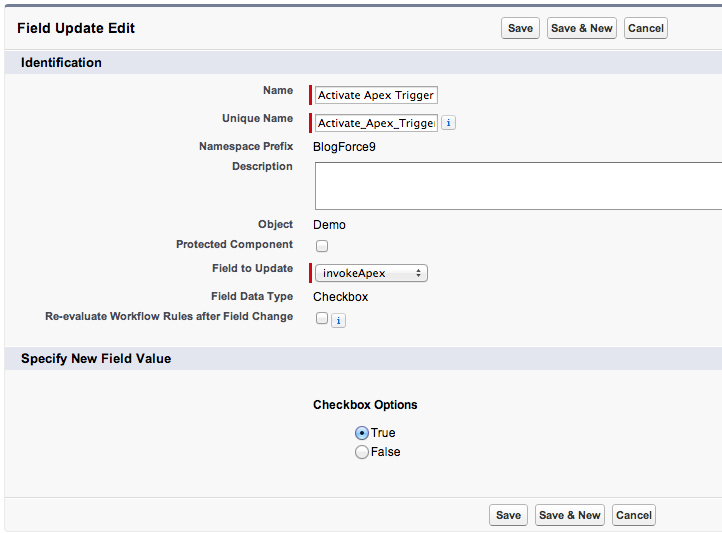 Now add a field update that will be used by Apex Trigger to execute a class. 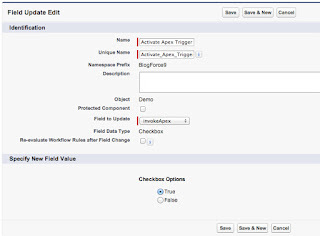 So In my case the custom object had a custom field with the name "invokeApex__c" which was by default set to "FALSE". Create a field update that will set this to "TRUE"